1-001 BASTIDE-BERNARDIN, Sophie (France). “L'Écho de la Timbrologie” magazine. 1-002 BEGOVIC, Vojislav (Serbia). “Goli otok (barren island), the Last Post Office Bakar" monograph. 1-003 BOETTGER, Lars (Luxembourg). “Fälschungen und Manipulationen Luxemburger Briefmarken” catalogue. 1-004 VACCARI srl (Italy). “Sicilia 1859. Comparative plates of stamps”. Separately, gathered in a specific sleeve inside the slip-case, the 15 plates reproduced life size and in colours. 1-005 VACCARI, Silvia (Italy). “211 days in space. Anatoli Berezovoy – the diary, mail and history”, series “History through documents”. 1-006 VACCARI, srl (Italy). Vaccari catalogue 2011-2012. Postage Stamps and Postal History. Historical study and catalogue with valuations Italian States – Provisional Governments – Kingdom of Italy 1850-1900. 1-007 VACCARI srl (Italy). “Proofs, essays and reprints of the II and III issues of Sardinia.” A study and catalogue. 1-008 VACCARI srl (Italy). “Vaccari magazine”, six-monthly specialized in philately and postal history. 1-009 WALTON, Frank (United Kingdom). The London Philatelist, the Journal of the Royal Philatelic Society London. 1-010 VAN PAMEL, Luc (Belgium). “1 CENTIME médaillom – medallion 1861-1866”, monograph. 1-011 VOGEL, Albert Josef (Germany). “Perfins of the Kingdom of Bavaria”, catalogue. 1-012 VOGEL, Albert Josef (Germany). The “Bavaria-Post” bi-yearly magazine Number 29. 1-013 VOGEL, Albert Josef (Germany). The “Bavaria-Post” bi-yearly magazine Number 31. 1-014 HEINRICH KÖHLER Auctions GmbH & Co. KG (Germany). Edition D'Or Volume 19: “Austria – Hungary 1867 Issue. Foreign Destination Mail. The Werner Schindler Collection”. 1-015 HEINRICH KÖHLER Auctions GmbH & Co. KG (Germany). Edition D'Or Volume 24: “Russian Socialist Federative Soviet Republic 1918 – 1923. The Dr. Wolfgang Leupold Collection”. 1-016 HEINRICH KÖHLER Auctions GmbH & Co. KG (Germany). Edition D'Or Volume 31: “Principality of Serbia • The Predrag Antic Collection”. 1-017 HEINRICH KÖHLER Auctions GmbH & Co. KG (Germany). Edition D'Or Volume 32: “Brazil – The ‘Bull’s Eye’ Stamps of 1843. The Dr. Hugo Goeggel Collection”. 1-018 HEINRICH KÖHLER Auctions GmbH & Co. KG (Germany). Edition D'Or Volume 39: “Finnland 1856-1874 • The Luis Alemany Indarte Collection”. 1-019 HEINRICH KÖHLER Auctions GmbH & Co. KG (Germany). “Heinrich Köhler und seine Nachfolger” by Wolfgang Maassen. 1-020 GIDÓFALVY, Péter (Hungary). Die Szabolcsi Briefmarken Zeitung. 1-021 GIDÓFALVY, Péter; HODOBAY, Andor (Hungary). “Meter stamps of Hungary 1928 – 1987” catalogue. 1-022 GRUSZCZYŃSKI, Jerzy (Poland). «The Polish Company in the French Foreign Legion 1914- 1915. Selected Military and Postal Documents”. 1-023 GÜBELI, Arthur (Switzerland). “The local edition of “Tartu 1991”. 1-024 EUROPEAN ACADEMY OF PHILATELY (AEP). OPUS X, 2010, Central theme: the colonial past of the European countries. 1-025 EUROPEAN ACADEMY OF PHILATELY (AEP). OPUS XIV, 2014, Central theme: Africa. 1-026 ZHOKHOV, Valeriy (Russia). Series of articles. 1-027 ZAGORSKY, Valeriy (Russia). 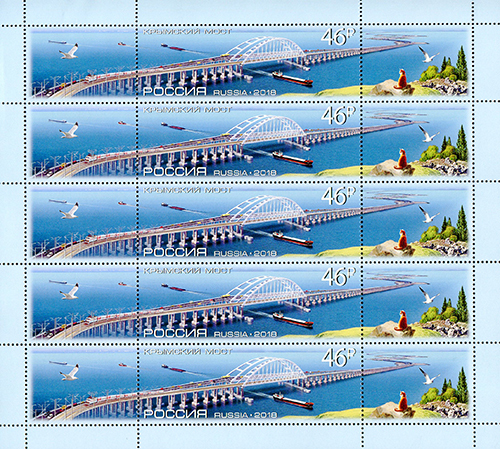 “Postage stamp catalogue. RUSSIA 1857-1917. RSFSR 1918-1922. 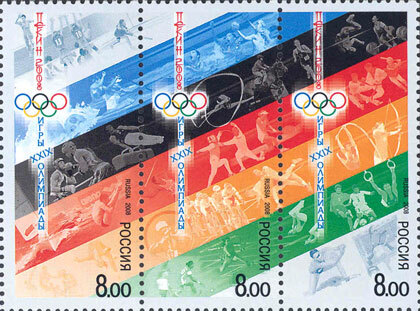 USSR 1923-1991” 2013/2014 edition in English. 1-028 ZAGORSKY, Valeriy (Russia). 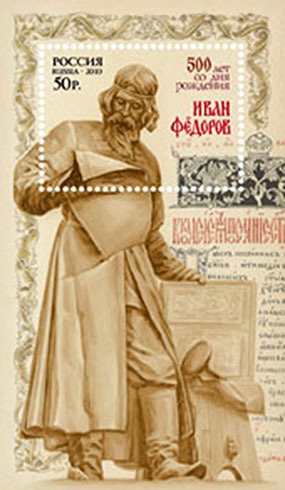 The “Drafts of Stamps, USSR 1923 – 1960” art book. 1-029 SALZMANN, Hans-Werner (Germany). “Mit dem Fahrrad an die Front – Feldpost der Radfahrertruppen”. 1-030 ZVEREV, Aleksandr (Russia). Catalogue “Postage Stamps of Russian Empire, RSFSR, USSR 1857-1940”. 1-031 ZONJEE, Arie (Netherland). “Expres, Met de Meeste Spoed en Promptitude (1863-1999)”. 1-032 IVANOVA, Olga (Russia). 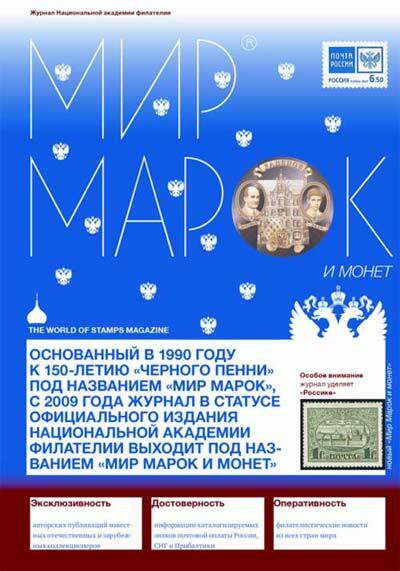 Special youth supplement to “The world of stamps and coins” magazine. 1-033 ILYUSHIN, Aleksandr (Russia). "The Collector" almanac. 1-034 “MARKA” PTC (Russia). Catalogue “The Postal Stationery of the Russian Empire, the Grand Duchy of Finland, the USSR, the People’s Republic of Tannu-Tuva, the Russian Federation 1845-2012”. 1-035 “MARKA” PTC (Russia). Catalogue “The Postage Stamps and Postal Stationery of Zemstvo, Wenden 1862-1919”. Catalogue “The local issues of the Russian Empire 1845-1915. Russian Post abroad 1863-1920. The local issues during the Civil war 1918-1923. The Tuvan People's Republic 1926-1944. The local issues of the Russian Federation 1992-2006”. 1-036 “MARKA” PTC (Russia). The “Philately” magazine. 1-037 CAVALLARO, Umberto (Italy). AD*ASTRA quarterly Bulletin of Italian Astrophilatelic association. 1-038 CYPRUS PHILATELIC SOCIETY (Cyprus). “CYPRUS PHILATELY” Quarterly Philatelic Magazine. 1-039 KOREA STAMP CORPORATION (Democratic People's Republic of Korea). Catalogue “Postage Stamps of Democratic People's Republic of Korea”. 1-040 CORINPHILA Auctions AG (Switzerland). Reference book and Special Catalogue Schweizer Kantonalmarken 1843-1854. 1-041 KREPOSTNOV, Valeriy (Russia). Post card catalogue “Sergey Solomko. Ilya Lapin’s publisher in Paris”. 1-042 KULAKOV, Valentin (Russia). The “Rossica” special issue of “The world of stamps and coins” almanac. 1-043 MAASSEN, Wolfgang (Germany). “Philatelie” magazine. 1-044 MAASSEN, Wolfgang (Germany). “Alfred Moschkau. Philatelist, Heimatkundler und Museumsgrűnder”. 1-045 MAASSEN, Wolfgang (Germany). PHILA HISTORICA magazine. 1-046 MAASSEN, Wolfgang (Germany); SCHOUBERECHTS, Vincent (Belgium). “Milestones of the Philatelic Literature of the 19th Centure” (English/French) and Supplement (German translation, Index). 1-047 MARION, Robert (France). “The story of the Mauritius Post Office” monograph. 1-048 MARION, Robert (France). “Britannica” magazine, Revue du Club Philatélique Franco-Britannique. 1-049 MASELIS, Patrick; SCHOUBERECHTS, Vincent; TAVANO, Léo (Belgium). “Lado” monograph. 1-050 MASELIS, Patrick (Belgium). “Le Philatéliste Belge” magazine. 1-051 MASELIS, Patrick (Belgium). The “Belgiophile” magazine. 1-052 INTERNATIONAL ASSOCIATION OF PHILATELIC JOURNALISTS (AIJP). Magazine “The Philatelic Journalist 2013/2014”. 1-053 MELITONJAN, Arsen (Russia). “German addresses of old Russia. The history in postcards”, series of 4 books. 1-054 Ministry of Communications of the Russian Federation. Federal Communications Agency. The A.S.Popov Central Museum of Communications. Compilation of teaching materials on the project "Zero Verst". 1-055 Ministry of Communications of the Russian Federation. Federal Communications Agency. The A.S.Popov Central Museum of Communications. "Collections are history," compilation of the materials of the 3rd Scientific Seminar on postal history and philately. 1-056 MORENO, José Ramón (Spain). “Thematic Philately: Analysis and Research”. 1-057 MRAMORNOV, Aleksandr; PANTJUKHIN, Vladimir (Russia). “Postal and advertising stamp-stickers” monograph. 1-058 MRAMORNOV, Aleksandr (Russia). “Russian Steamer Mail” catalogue. Co-authors Nikolay Mandrovski, Vladimir Tjukov. 1-059 GERMAN Society for Russian Philately (Germany). 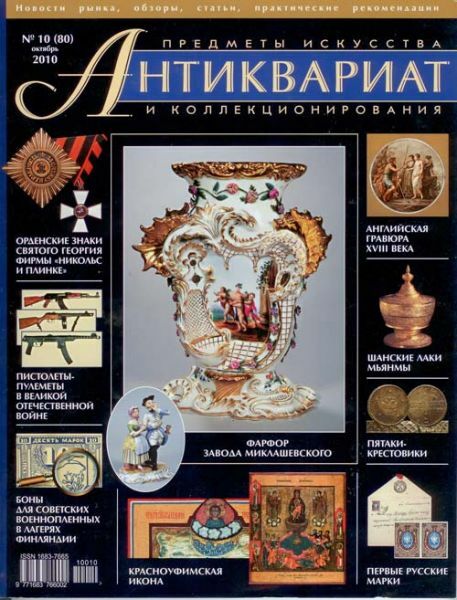 “Deutsche Zeitschrift für Russland-Philatelie” magazine. 1-060 ODENWELLER, Robert (USA). Book “The Postage Stamps of New Zealand. 1855 – 1873. The Chalon Head Issues”. 1-061 OLCHOWIK, Jan (Germany). Book “Das Postwesen in Oberschlesien bis 1923”. 1-062 PANFILOV, Igor; STRYGIN, Andrey (Russia). The world economy and international economic relations, (the experience of the illustration of a textbook with philatelic material). 1-063 PENNIG, Hans-Karl (Germany). “Die Gebührenzettel von Freudenstadt” monograph. 1-064 PIROTTE, Jacques (Belgium). “Le courier du Groupe Belge des Autos-Canons-Mitrailleuses en Russie (1915-1918)” monograph. 1-065 POSTILJONEN AB auction house (Sweden). “Fakes Forgeries Experts” №17. 1-066 RADOVANOVIC, Milan (Serbia). “Serbia and the allies in World War I (1914-1915). Silent Witnesses”. 1-067 REBELO, Americo (Portugal). Articles on Philately published in philatelic press in 2012-2013. 1-068 SLABBINCK, Henk (Belgium); TAYLOR, James (Canada). “Mail from the French Shore of Newfounland” monograph. 1-069 SLOVENSKA Filatelistična Akademija (Slovenia). “Postal History of the Illyrian Provinces 1809-1813” monograph. 1-070 STRYGIN, Andrey; TKACHENKO, Sergey (Russia). 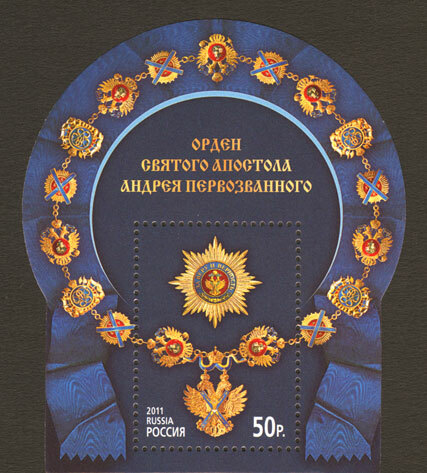 “Rossica: everything about Russian postage stamps and philately”, monograph. 1-071 STRYGIN, Andrey (Russia). “The world of stamps and coins”, annual almanac and magazine. 1-072 TILLARD, Jean-Jacques (Saint-Pierre et Miquelon – French Territory). “Saint-Pierre-et-Miquelon. Ses surchargesau 19éme siècle”. 1-073 TIMOFEEV, Aleksandr (Russia). “Railway Mail Service at the Chinese Eastern Railway”. 1-074 TKACHENKO, Sergey; VINOKUROV, Ardaljon (Russia). “Military censorship in the USSR 1939-1953” monograph. 1-075 TKACHENKO, Sergey (Russia). “Philatelic press and journalism” monograph. 1-076 TJUKOV, Vladimir (Russia). “Military Correspondence in the Russian Empire” monograph. 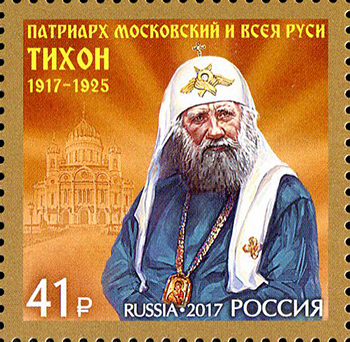 1-077 TJUKOV, Vladimir (Russia). 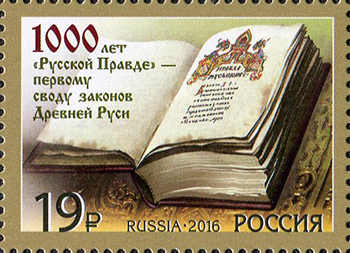 “Russian postage stamps and signs of postal payment” philatelic encyclopedia. 1-078 WARREN, Alan (USA). “Ice Cap News” magazine. 1-079 FELZMANN GmbH, Ulrich Felzmann Auktionshaus (Germany). Publisher of the book “Egitto Servizi Postali Marittimi degli Uffici Italiani 1863-1880. The Alessandro Arseni Collection ”. 1-080 FELZMANN GmbH, Ulrich Felzmann Auktionshaus (Germany). Publisher of the book “Königreich Hannover 1850-1866 Eine Postgeschichtliche Ausstellungssammlung”. 1-081 FILATOV, Sergey (Russia). “Romanov epoch: events, people, cities” exhibition catalogue. 1-083 RUSSIAN MODERN ART FOUNDATION ZURICH (Russia – Switzerland). The “Philatelic Geography” dictionary and reference book, with the general editorship by N.Vladinets. 1-084 FREELAND, Charles (Switzerland). The publisher of “King George V Key Plates of the Imperium Postage and Revenue Design” monograph by Peter Fernbank. 1-085 FREELAND, Charles (Switzerland). The publisher of “The Trinidad Red Cross Label” monograph by Ian Jakes. 1-086 HOLSTEGE, Gert (the Netherland). “Handbook of Postal Values of The Netherlands” magazine. 1-087 HORNHUES, Karl Heinz (Germany). “Bergedorf” catalogue. 1-088 CACKA, Julius (Czech Republic). The “Kosmos” bulletin of Czech Space Philately society. 1-089 CHEUNG, Andrew (Hong Kong). “The Hong Kong Philatelic Society” annual magazine. 1-090 SCHWANEBERGER Verlag GmbH (Germany). MICHEL Catalogue Germany 2014/2015. 1-091 SCHWANEBERGER Verlag GmbH (Germany). MICHEL Catalogue Europe in 7 volumes. 1-092 SCHWANEBERGER Verlag GmbH (Germany). MICHEL Overseas Catalogue Volume 4/1 North Africa 2014. 1-093 SCHWANEBERGER Verlag GmbH (Germany). MICHEL Overseas Catalogue Volume 4/2 East Africa 2014. 1-094 SCHWANEBERGER Verlag GmbH (Germany). MICHEL Overseas Catalogue Volume 6/1 Central Africa 2014. 1-095 SCHWANEBERGER Verlag GmbH (Germany). MICHEL US Specialized Catalogue 2014. 1-096 SCHWANEBERGER Verlag GmbH (Germany). MICHEL Germany Specialized Catalogue 2014 in 2 volumes. 1-097 SCHWANEBERGER Verlag GmbH (Germany). MICHEL-Rundschau magazine. 1-098 SPRINGER, Renate (Germany). “Walter Artur Opitz, Collector and Expert 1877-1968”. 1-099 SCHIER, Oswald (Switzerland). Manual de la Filatelia Española, Tomo II. Class 2: Static media (CD-ROM, DVD). 2-001 LEUCHTTURM ALBENVERLAG GmbH & Co. KG (Germany). DNK-Deutschland Briefmarken-Katalog 2014 class 2 CD. 2-002 PITA, João Rui (Portugal). CD “O Brasil nos selos portugueses e brasileiros”. 2-003 USTINOV, Demid (Russia). CD “Domestic submarine fleet in philately”. 2-004 FRIEDBERG, Heinz (Germany). Electronic magazine class 2, Publication of the German Postal Automation Study Group. 2-005 HILLESUM, René (the Netherland). Electronic magazine “Filatelie”. Class 3: Interactive Electronic Media / Websites. 3-001 ASTROPHILATELY, the Section of FIP, official website (www.astrophilatelist.com). 3-002 JARVIS, Stephen (United Kingdom). The official website of the Royal Philatelic Society London (www.rpsl.org.uk). 3-003 ILJUSHIN, Aleksandr (Russia). The official website of the Russian National Academy of Philately (www.rusacademfilately.ru). 3-004 ILJUSHIN, Aleksandr (Russia). “The collector of postage stamps” game application for mobile devices (https://itunes.apple.com/us/app/stamps-collector/id705203926), (https://play.google.com/store/apps/details?id=ru.appscraft.collector). 3-005 CAVALLARO, Umberto (Italy). The websiteof Italian Astrophilatelic association (www.asitaf.it). 3-006 KUZMIN, Pavel (Russia).Website (www.filpersona.ru). 3-007 MANTA, Victor (USA). Website (www.artonstamps.org/hermitage). 3-008 OLSCHIMKE, Jűrgen (Germany). Website (www.jolschimke.de). 3-009 OLSCHIMKE, Jűrgen (Germany). Website (www.arge-briefpostautomation.de). 3-010 OLSCHIMKE, Jűrgen (Germany). Website (www.arge-r-v-zettel.de). 3-011 PETRISCHEV, Andrey (Russia). Website (www.filatelica.ru). 3-012 PETRISCHEV, Andrey (Russia). Website (www.stamprus.ru). 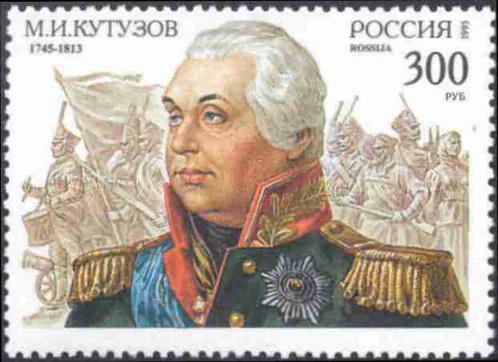 3-013 FILATOV, Sergey (Russia). Website (www.sfr-perm.ru). 3-014 FREELAND, Charles (Switzerland). Website (www.bwisc.org). 3-015 FUCHS, Rainer (Germany). Website (www.fuchs-online.com/overlandmail). 3-016 JÜRGENS, Stephan (Germany). Website (www.bollatrice.de).